Are we really wasting a valuable natural resource at parties? This particular inert gas was discovered by an astronomer observing a solar eclipse. 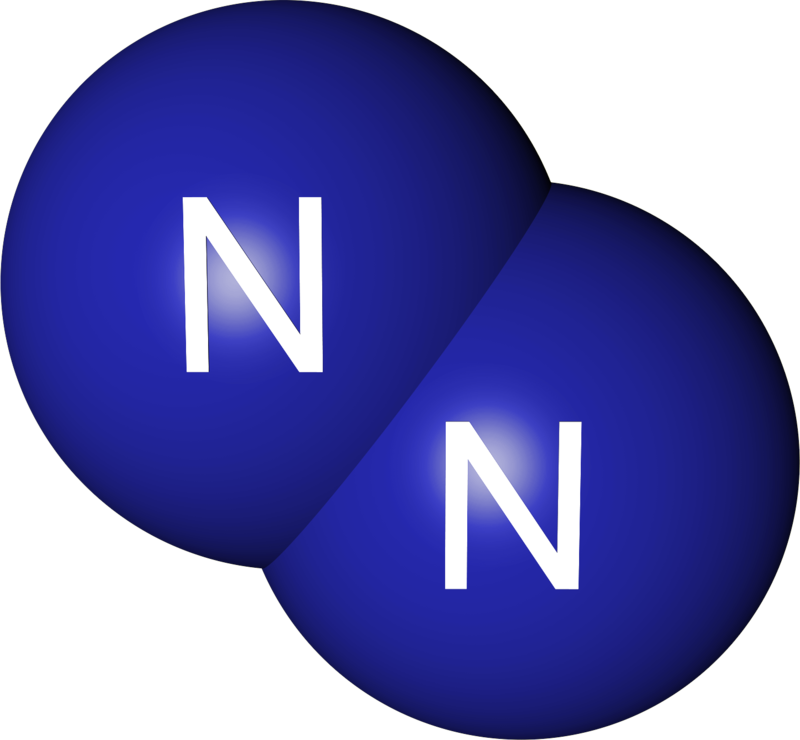 A couple of weeks ago I wrote a (tongue in cheek) post about a very inert gas, nitrogen. Silliness aside though, nitrogen is a bit, well boring. I mean, we’ve known about it for nearly 250 years, it makes up nearly 80% of our atmosphere and it mostly just sits around doing nothing. Even plants, who’ve mastered the spectacular trick of making solid stuff out of sunlight and carbon dioxide, can’t do much with it in its gaseous form (with a few exceptions). There are much more interesting inert gases. There’s one that wasn’t even discovered on Earth. 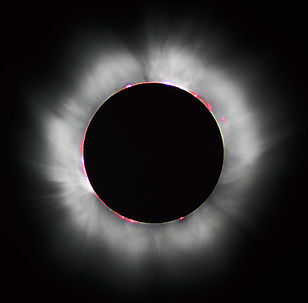 In fact, it was first spotted on the Sun by Jules Janssen, an astronomer who was taking advantage of a total solar eclipse to study the Sun’s atmosphere. After some more experiments astronomer Norman Lockyer and chemist Edward Frankland named the element after the Greek word for the Sun. It was the first element to be discovered somewhere other than Earth. As it turns out, this element is the second most abundant element in the universe (after hydrogen), but one of the least abundant elements on Earth – with a concentration of just 8 parts per billion in the Earth’s crust. Today, almost all of us meet it as very young children. In balloons. It’s helium, the second-lightest element in the periodic table and also, perhaps, the ultimate non-renewable resource. We all learnt what ‘non-renewable’ means in school: it refers to something we’re using up faster than we can ever replace it. Almost anyone can tell you that crude oil is non-renewable. But the thing is, there are alternatives to crude oil. We can use bioethanol, biodiesel and their cousins to power vehicles and provide power. Bioethanol can act as a route to plastics, too. Scientists are also investigating the potential of algae to produce oil substitutes. These alternatives may (at the moment) be relatively expensive, and come with certain disadvantages, but they do exist. We have no way to make helium. At least, no way to make it in significant quantities (it’s a by-product in nuclear reactors, but there we’re talking tiny amounts). And because it’s so light, when helium escapes into the atmosphere it tends to float, well, up. Ultimately, it escapes from our atmosphere and is lost. Every time you get fed up with that helium balloon that’s started to look a bit sorry for itself and stick a pin in it (perhaps taking a few seconds to do the squeaky-voice trick first) you’re wasting a little bit of a helium. But so what? We could all live without helium balloons right? If we run out, balloons will just have to be the sinking kind. What’s the problem? Liquid helium is used to cool the magnets in MRI machines. The problem is that helium has a lot more uses than you might realise. Cool it to -269 oC – just 4 degrees warmer than absolute zero, the lowest termperature there is – and it turns into a liquid, and that liquid is very important stuff. It’s used to cool the superconducting magnets in MRI (magnetic resonance imaging) scanners in hospitals, which provide doctors with vital, non-invasive, information about what’s going on inside our bodies. MRI techniques have made diagnoses more accurate and allowed surgery to become far more precise. Nothing else (not even the lightest element, hydrogen) has a lower boiling point than helium, so nothing else is quite as good for this chilly job. Scientists are working hard on developing superconducting magnets that work at warmer temperatures, but this technology is still in its infancy. There’s another technology called NMR (nuclear magnetic resonance) which chemists use all the time to help them identify unknown compounds. 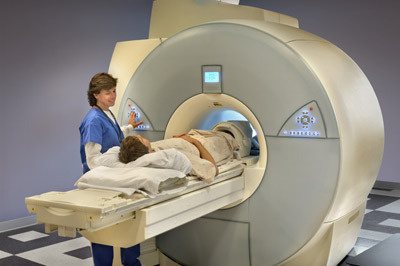 In fact, MRI was born out of NMR – they’re basically the same technique applied slightly differently – but the medical application was renamed because it was felt that patients wouldn’t understand that the ‘nuclear’ in NMR refers to the nuclei of atoms rather than nuclear energy or radiation, and would balk at the idea of a ‘nuclear’ treatment. Possibly imagining that they’d turn into the Hulk when they went into the scanner, who knows. Since it works in essentially the same way, NMR also relies on superconducting magnets, also often cooled with liquid helium. Without NMR, whole swathes of chemical research, not to mention drug testing, would run into serious problems overnight. It doesn’t stop there. Helium is also used in deep-sea diving, in airships, to cool nuclear reactors and certain other types of chemical detectors. NASA also uses massive amounts of helium to help clean out the fuel from its rockets. In summary, it’s important stuff. But if we can’t make it, where does all this helium come from? The Earth’s helium supplies have largely originated from the very slow radioactive alpha decay that occurs in rocks, and it’s taken 4.7 billion years to build them up. Helium is often found sitting above reserves of natural oil and gas. In fact that’s exactly how the first helium reserve was discovered: when, in 1903, an oil drilling operation in Kansas produced a gas geyser that wouldn’t burn. It turned out that although helium is relatively rare in the Earth overall, it was concentrated in large quantities under the American Great Plains. Of course this meant that the United States quickly became the world’s leading supplier of helium. The US started stockpiling the gas during World War I, intending to use it in barrage balloons and later in airships. Helium, unlike the other lighter-than-air gas hydrogen, doesn’t burn. This made things filled with helium safer to handle and, of course, more difficult to shoot down or sabotage. 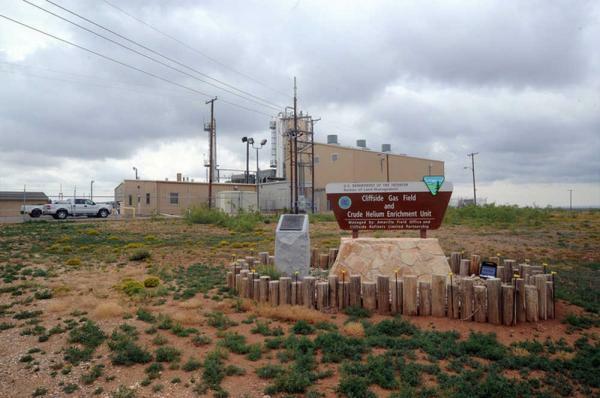 In 1925 the US government set up the National Helium Reserve in Amarillo, Texas. In 1927 the Helium Control Act came into force, which banned the export of the gas. At that point, the USA was the only country producing helium, so they had a complete monopoly (personally, I’d quite like to see a Monopoly board with ‘helium reserves’ on it, wouldn’t you?). And that’s why the Hindenburg, like all German Zeppelins, both famously and tragically had to use hydrogen as its lift gas. Helium use dropped after World War II, but the reserve was expanded in the 1950s to supply liquid helium as a coolant to create hydrogen/oxygen rocket fuel during the Space Race and the Cold War. The US continued to stockpile helium until 1995. At which point, the reserve was $1.4 billion in debt. The government of the time pondered this and ended up passing the Helium Privatization Act of 1996, directing the United States Department of the Interior to empty the reserve and sell it off at a fixed rate to pay off the cost. Right now, anyone can buy cheap helium in supermarkets and high street shops. As a result cheap helium flooded the market and its price stayed fairly static for a number of years, although the price for very pure helium has recently risen sharply. This sell-off is why we think of helium as a cheap gas; the sort of thing you can cheerfully fill a balloon with and then throw away. Pop down to a large supermarket or your local high street and you might even be able to buy a canister of helium in the party section relatively cheaply. The problem is that this situation isn’t going to last. The US reserves have been dramatically depleted, and at one point were expected to run out completely in 2018, although other reserves have since been discovered and other countries have set up extraction plants. It is also possible to extract helium from air by distillation, but it’s expensive – some 10,000 times more expensive. None of these alternatives are expected to really ease the shortage; they’ll just delay it by a few years. So are helium party balloons truly an irresponsible waste of a precious resource? Well… the helium that’s used in balloons is fairly impure, about 98% helium (mixed with, guess what? Yep, we’re back to nitrogen again!) whereas the helium that’s needed for MRI and the like is what’s called ‘grade A’ helium, which is something like 99.997% pure, depending on whom you ask. Of course you can purify the low-grade helium to get the purer kind but this costs money, which is why grade A helium is so much more expensive. The National Balloon Association (‘the voice of the balloon industry’ – you can’t help wondering whether that’s a very high-pitched voice, can you?) argues that balloons only account for 5-7% of helium use and that the helium that goes into balloons – which they prefer to call ‘balloon gas’ because of its impurities – is mainly recycled from from the gas that’s used in the medical industry, or is a by-product of supplying pure, liquid helium, and therefore using it in balloons isn’t really a problem. Dr Peter Wothers argues that helium balloons should be banned. On the other hand, more than one eminent physics professor has spoken out on the subject of helium wastage. 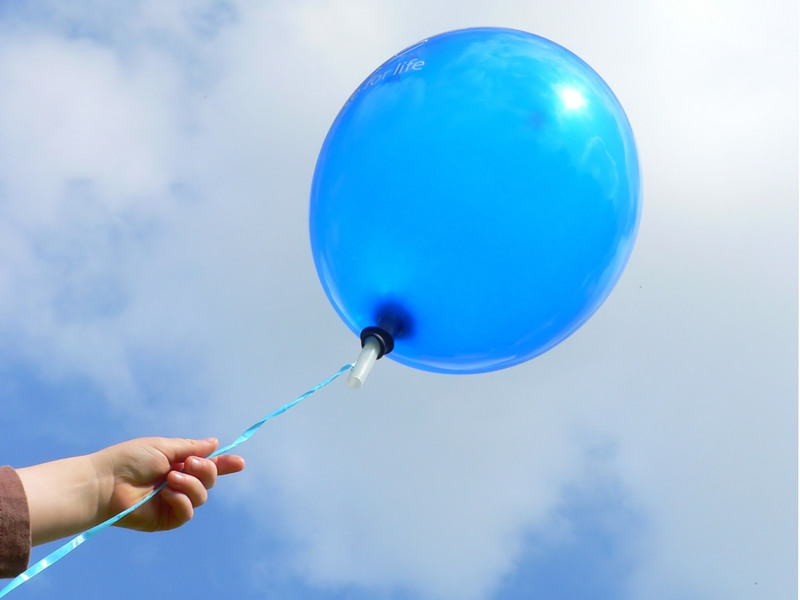 It costs about 30-50p to fill a helium balloon, but Professor Robert Richardson of Cornell University argued (before his death in 2013) that a helium party balloon should cost £75 to more accurately reflect the true scarcity value of the gas. 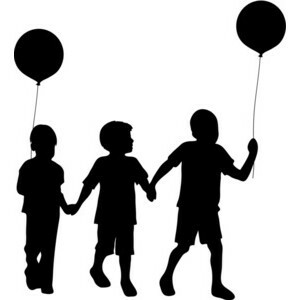 Dr Peter Wothers of Cambridge University has called for an outright ban of them, saying that in 50 years’ time our children will be amazed that we ever used such a precious material to fill balloons. Is it time to call for a helium balloon boycott? Perhaps, although it will probably take more than one or two scientifically-minded consumers refusing to buy them before we see any difference. Realistically, the price will sky-rocket in the next few years and, as Peter Wothers suggests, filling balloons with helium will become a ridiculous notion because it’s far too expensive. Will images like this make no sense in the future? It’s strange to think though, that in maybe 50 years or so the idea of a floating balloon might simply disappear. Just think of all the artwork and drawings that will no longer make sense. Follow The Chronicle Flask on Facebook and Twitter to hear about the latest blog posts and to discover other interesting sciencey tidbits from around the internet. Is a noxious gas really being added to your food? 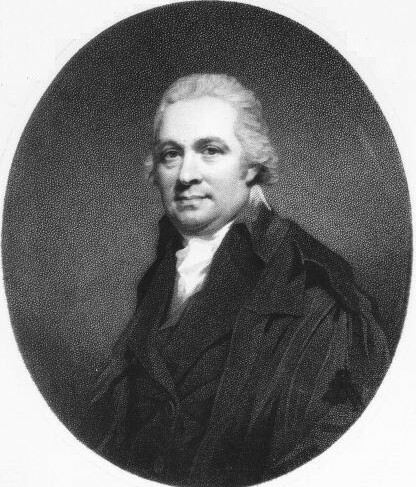 Daniel Rutherford named nitrogen “noxious air”. Today I’m writing about a potentially dangerous, but surprisingly rarely discussed, substance. It’s a gas at room temperature, with a molecular mass of 28. It sits next to oxygen in the periodic table, but these two could not be more different. When it was discovered by Daniel Rutherford in 1972 he named it ‘noxious air’. Other scientists called it ‘burnt air’, ‘mephitic air’, and ‘azote’ – from the Greek word meaning lifeless – because animals died when they were exposed to it. Today we call it nitrogen. Let me tell you more. It’s an industrial chemical which is used to make fertilisers and explosives, and to fill tyres. Does that sound like something that you should be exposed to on a daily basis? Nitrogen is used to fill aeroplane and car tyres. Well I’ve got news for you, you are. Nitrogen is in the air around us. That’s right, this gas which, let me reiterate, was discovered when it was found to kill small animals, is all around us. The concentration of it is fairly stable now, but it has increased dramatically in Earth’s past. A nitrogen molecule. Not actual size. Breathing air with more than about 0.8 bar partial pressure will make you really ill or even kill you and yet, pure nitrogen is regularly used to package our foods. Those salad bags you thought were so fresh and healthy? Full of pure nitrogen. 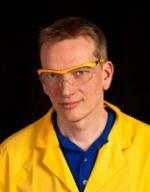 That nitrogen is obtained by a process known as fractional distillation. Petrol, diesel and bitumen – the stuff used to cover our roads – are produced by exactly the same method. Nitrogen is invisible, tasteless and odourless, and companies don’t have to label it on their packaging. Some of the more reputable manufacturers do state that their food is ‘packaged in a protective atmosphere’, but since there is no regulation to force companies to include this label, its absence is no guarantee. You could be eating nitrogen-drenched lettuce right now, and you’d have no idea. And for those salad-dodgers out there breathing a sigh of relief, crisps (chips, for my American readers) are also packaged in this stuff. Nitrogen is often used in over-priced food preparation. It gets worse. When it’s cooled nitrogen becomes a liquid, and this form is also used in food preparation. Some chefs have famously used it to make gourmet ice-cream. But in its liquid form nitrogen is even more dangerous. It’s extremely volatile. Exposure to liquid nitrogen causes severe and painful burns which can leave permanent scars. People who need to handle it should wear thick, industrial-strength gloves and eye protection. It’s so dangerous that one Australian liquor authority recently ordered bars to stop serving drinks containing liquid nitrogen after a patron became seriously ill. Surely we should be asking the question: should something this harmful REALLY be involved in food preparation at all, anywhere in the world? The Food Doll. She knows about this stuff. The spectrum of nitrogen. It’s totally irrelevant but it is pretty. Cease the Ugly Nitrogen Terror campaigners staged a peaceful demonstration, and were arrested for “offensive slogans” (not shown). Despite clearly knowing nothing whatsoever about anything, it’s possible that Eyna Noscience has a point. Perhaps consumers should have the choice over whether they want to buy products saturated with nitrogen? The organisation Cease the Ugly Nitrogen Terror certainly think so. They recently held a peaceful demonstration outside a well-known supermarket in London. Several of their supporters, who were holding placards bearing the initials of the organisation, were arrested for allegedly “offensive slogans”. Clearly yet another example of the food industry having far too much power. What do you think? Should nitrogen be banned from foods? Leave your comments below. I don’t know about everyone else, but personally I’d be a bit worried about a 50% oxygen atmosphere, particularly in an aeroplane. Let’s just hope she’s wrong, eh? Today I had to pay a scary amount of money for new car tyres. And, in yet more evidence that chemistry permeates everywhere, I found this amazing sign in the garage. I studied it at some length. The diagram on the right particularly fascinated me. They’ve helpfully included a key, which seems to suggest that the peculiarly square-shaped ‘tyre’, labelled as being filled with compressed air, only contains particles of oxygen, water (and water vapour, because ‘water’ isn’t a broad enough label apparently). The other, nitrogen-filled, one appears to contain oxygen, water (and water vapour) and nitrogen. As well as some mysterious green and red circling arrows. I can’t quite get my head around it. Someone drew this, and sent it to printers, and presumably it’s been displayed in more than one reception area (I’m deliberately not naming the specific garage, since the staff there were nice and helpful and gave me a good price really, and I’m sure they had nothing whatsoever to do with the sign beyond being told by Head Office to put it on the wall). Did no one think to check it with, well, anyone? It’s almost as bonkers wrong as the American school sign advertising ‘leteracy night’. Ok, so I’m not a car mechanic. My experience in that area is limited to occasionally topping up my own screenwash and once watching my Dad change some spark plugs. But I’m pretty sure that compressed air is, well, compressed air. As the sign itself makes clear, air is about 79% nitrogen and 21% oxygen (the numbers vary, but that bit, at least, is more or less right). 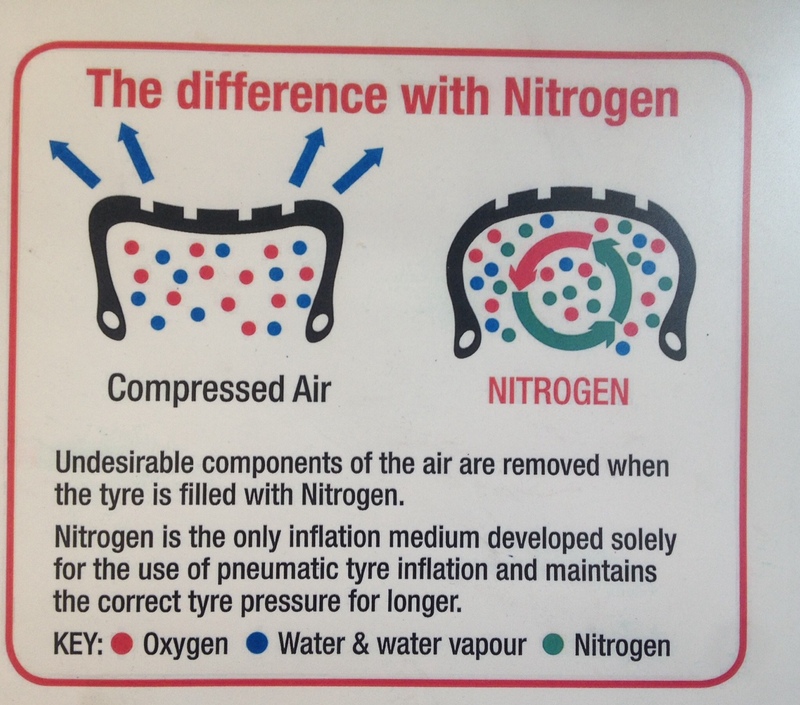 Therefore, first problem, if you fill a tyre with compressed air you are by definition filling it with nearly 80% nitrogen. In fact, I don’t think I’d want to drive a car with tyres which had been filled with pure oxygen and a bit of water, as the key suggests. Oxygen is a jolly effective oxidising agent. Tyres may not be the most flammable things in the world, but I reckon there’s a significant chance that your hot wheels would become a little more literal than you might like. Moving on, in the round-ish tyre diagram there appears to be water, oxygen and nitrogen. Call me naive, but if you tell me you’re filling my tyres with nitrogen I’m going to assume it’s pure nitrogen. Whereas what you have there is (I’m so sad I counted and worked it out) 40% nitrogen, 27% water 33% oxygen. I dunno what that particular mixture is, but it’s not air and it’s definitely not pure nitrogen. 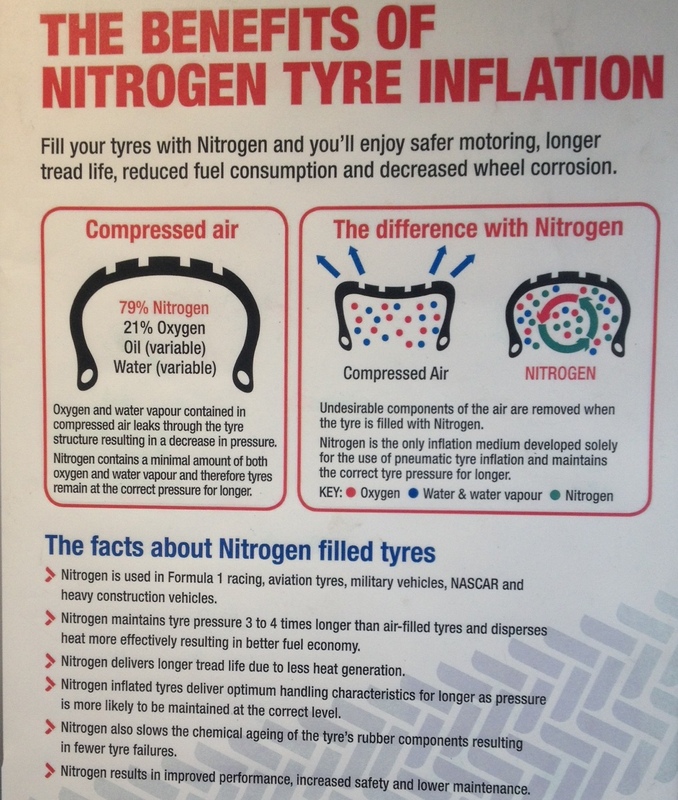 And, “nitrogen is the only inflation medium developed solely for the use of pneumatic tyre inflation”. What about compressed air then? Doesn’t that count as an ‘inflation medium’? And, “maintains the correct tyre pressure for longer”. Well, actually I’m not sure about this one (there’s an interesting article here expressing some skepticism though). The Formula One website says that they do indeed fill racing tyres with “a special nitrogen-rich air mixture, designed to minimise variations in tyre pressure with temperature. The mixture also retains the pressure longer than normal air would.” The internet tells me Red Bull alone invested over $100 million in 2012, a significant chunk of which would necessarily have to be research and development. If anyone knows about the best stuff to fill tyres with, it’s Formula One. But, there is a bit of a difference between cars that are designed to routinely get up to 200 mph and tyres that are designed to cope with temperatures comfortably over 100 oC, and your household runaround that averages 35-ish miles per hour. Let’s say I’m not convinced we’re comparing apples with apples here. The one thing I do accept is that water might, possibly, have a small effect on tyre pressure. Water has an annoying habit of changing state at everyday temperatures. Just 1 millilitre of liquid water occupies over 1300 millilitres when it turns into a gas at atmospheric pressure and 25 oC. If it’s hotter (which it probably would be, if it had suddenly turned into gaseous water) it occupies even more space. Of course it’s more complicated than this because tyres aren’t at atmospheric pressure, but the point stands: if there’s water in your tyres the pressure would fluctuate a bit as they warm up. This’ll happen anyway, since in general gases expand as they warm up, but water could make the difference more significant. Anyway, my musings over gases were interrupted by having to pay the terribly big bill. It did seem like a lot for about 50 kg of rubber, but I’m assured that tyres with the correct depth of ridgy bits are quite important. They told me they filled them up with nitrogen for free.